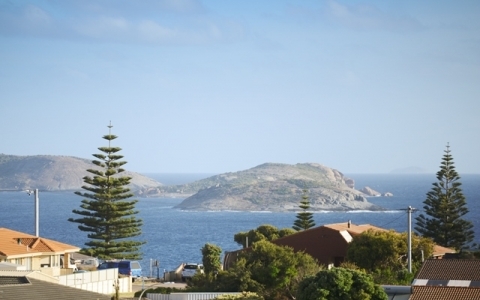 Across the road from the beautiful Esperance bay beaches, Adventureland family park and the yacht club. Large modern fully self contained airconditioned unit. 3 bedrooms, (one with queen size bed, one with queen size bed and bunk bed, one with a double and single bed. 1 bathroom and a large living area(large comfortable lounge suite with delightful kitchen. T.V & video, balcony with BBQ. Private laundry and out door setting.This unit is fully self contained with bed linen and bath towels provided. This unit is across the road from the beach and park and a short stroll from the town centre. Linen is supplied. Low season. $225.00 per night for up to 4 persons. High Season $250.00 per night for up to 4 persons. 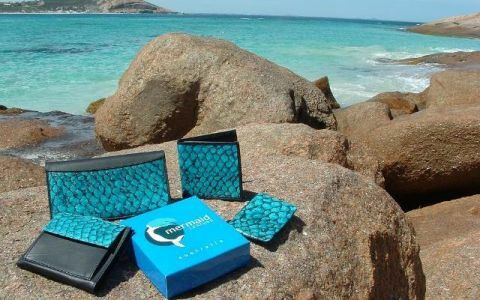 Max 9 persons $45.00 per night extra person One night bookings may attract an additional charge. Small fully self contained airconditioned unit, one queen size bed and dining room suite one bathroom, T.V & DVD. Bed linen and bath towels are provided. Private laundry and out door setting. 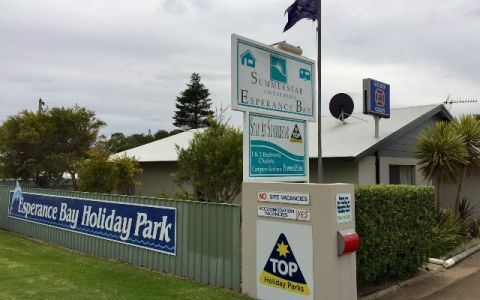 (this unit also has a trundle bed if required) This unit is ideally situated across the road from the beach and park and a short stroll to the town centre. Linen is supplied. - $120p/n low season. $140p/n high season One night bookings may attract an additional charge. Two story, large fully self contained airconditioned unit, Sleeping up to 17 with 4 bedrooms. Downstairs there is one bedroom furnished with a double bed.Upstairs there are 3 bedrooms. Bedroom one is furnished with a trio bunk,(double bed with a single bed above) bedroom two with a double bed and a single bunk and bedroom three with 4 single bunks. The unit has 2 bathrooms (3 toilets & 3 showers), spacious lounge, dining suite to seat 12 with T.V & DVD. 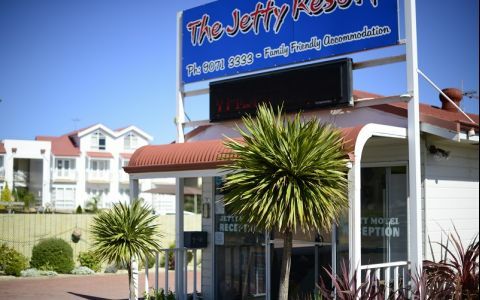 Private laundry and out door setting.This unit has access to a BBQ and has the same ideal location in close proximity to beach and town.This unit is great for 2 or 3 families to holiday together, groups of fishermen and divers or school groups. Linen is supplied. High season. $350.00 per night for up to 8 persons. Low season. $300.00 per night for up to 8 persons. Max 17 persons. $45.00 per night extra person. One night bookings may attract an additional charge. Two story, spacious fully self contained unit, 2 bedrooms( bedroom one has a queen size bed and bedroom two is furnished with a trio bunk(double bed with single bed above),bathroom, spacious living area with T.V & DVD. Private laundry and out door setting. Access to a BBQ. All bed linen and bath towels provided. This unit is across the road from the beach and park and a short stroll from the town centre. Low season: $170.00 per night for the first 4 people. High season: $190.00 per night for the first 4 people. $35.00 per Extra person per night Max 6 persons. One night bookings may attract an additional charge. 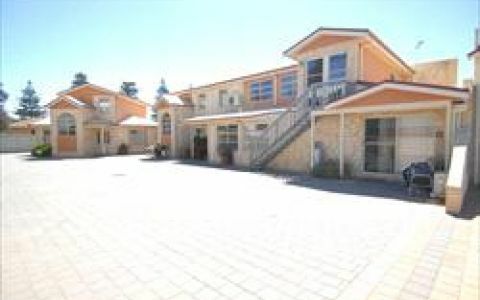 Two story, fully self contained unit with 2 bedrooms . Bedroom one has a queen size bed with a trundle bed, bedroom 2 has a trio bunk(double bed with single bed above), and there is a third sleeping area with a single bunk. Bed linen and bath towels provided. A comfortable living area with T.V and DVD. Private laundry and out door setting.Access to a BBQ. This unit is across the road from the beach and park and a short stroll from the town centre. Low season: $170.00 per night for the first 4 people. High season: $190.00 per night for the first 4 people. $35.00 per Extra person per night Max 7 people. One night bookings may attract an additional charge. A minimum of 3 nights is required for long weekend bookings. During the December and January school holidays a minimum of 7 nights is required. Existing gaps if smaller can be filled (please contact us). 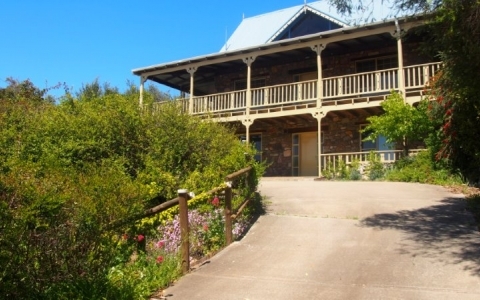 Bookings are not confirmed until a one night accommodation cost has been taken as a deposit for low season bookings and two nights accommodation cost has been taken for high season bookings. No refund within 30 days of a low season booking. If more than 30 days notice is given a refund of your deposit less 20% cancellation fee will apply. the booking and a two night cancellation fee within 30 days of the booking. Low season deposit ~ 1 nights accommodation. Great location, walking distance to shops, beach & restaurants. Plenty of parking. Accommodated our party of 8 with heaps of room. We've stayed at the Yot Spot before and always find the staff welcoming and the accommodation just right for us. The Esplanade suite is huge and can accommodate more than just the two of us comfortably. We had everything we needed for that extra long weekend; the units are a pleasant walk to the CBD, restaurants and the yacht club is straight across the road. We didn't venture out as it was only a stop over to get home from Qld. Grove all the way from Ceduna, SA to stop in Esperance. WOW, was not what I was expecting. I was only passing through to get home from QLD. wish I had more time there. was a great place to stay. Very comfortable.